Not that long ago I had the opportunity to publish a series of guest posts on ProBlogger. This series was about handling some of the basic stuff in WordPress – stuff you always have to do, yet there’s not that much how-to advice about it on the web. If you’re an online business owner then (and it’s not the first time I’m saying this) building your website with WordPress is probably the wisest thing to do. The platform is free, very functional, and easy to tweak to fit your requirements hand-in-glove. When you make the decision to go with WordPress, most likely your next task will be to pick the perfect theme. The theme will help you define your new brand, showcase your products/offerings, and get people engaged. Once you have the theme picked, you have to get it installed on your site. For people who have been working with WordPress this is basic, but beginners find it quite challenging as it requires some specific actions and specialized software (like FTP apps). At this point, your new site is pretty much installed. The only thing you have to do is create content, promote it, and build your brand. However, if you want to be certain that your new online business is safe (from a technical point of view) then there are some additional tasks worth looking into. Nothing fancy, nothing difficult. You don’t even need to touch any source code. Everything can be done either through well thought through core settings or some new plugins. At first, WordPress may seem like quite a difficult tool to master (and if you think otherwise then try to recall the first time you had to do something with it). However, once you get through the initial tasks, submitting content and engaging with your audience is more than easy. 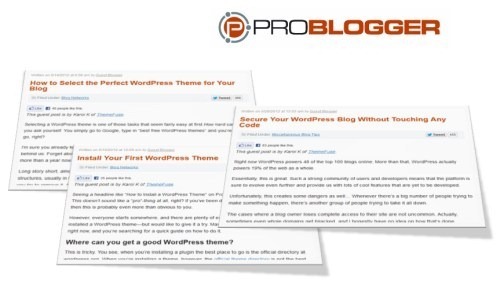 Tell me, have you taken care of securing your WordPress site yet?